A special treat today, but first a bit of background information. My grandfather collected just about everything. Stamps, model trains, coins, autographs, you name it. 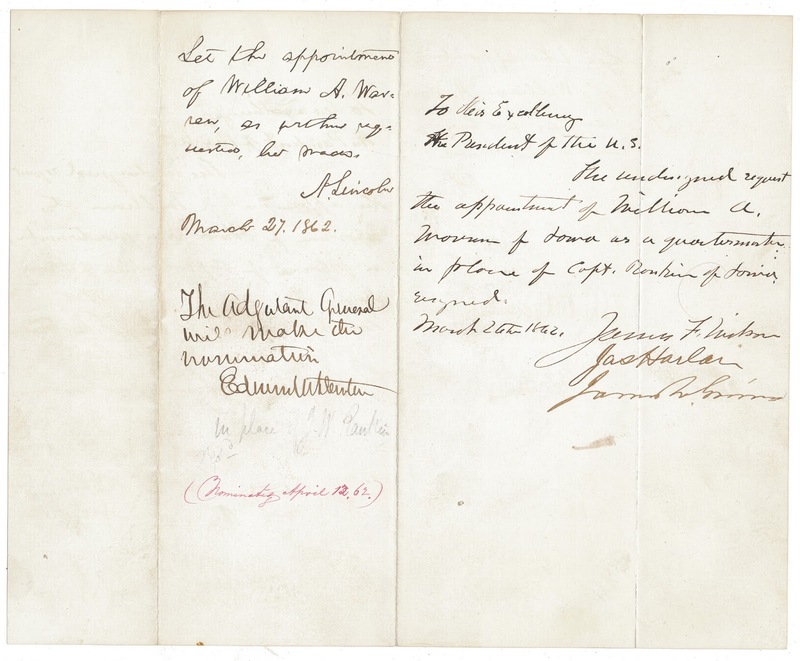 One of his favorite pieces in the collection was a document from 1862 signed by President Abraham Lincoln. The Undersigned request the appointment of William A. Warren of Iowa as a quartermaster in place of Capt. Rankin of Iowa, March 26th, 1862. 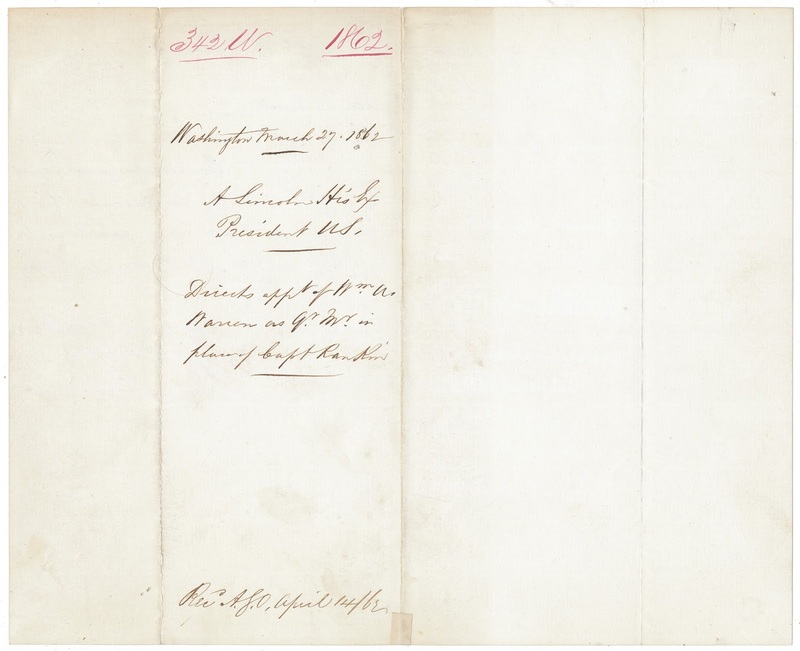 Let the appointment of William A. Warren, as per this requested, be made. The Adjutant General will make the nomination. Must be hard to part with. There are so many old postcards that I would like to keep, but I tell myself when I put them oneBay that they are going to good homes.